Do you have a question about your order, our catalog or an item you have seen on our Website? Our friendly customer service representatives are ready to help you! You can order from Danyun with complete confidence. We guarantee that all handcrafted items are authentic and individually made. As a result, items will differ slightly in color and/or size. If for any reason you are not completely satisfied with your purchase, you may return it within 30 days with your receipt for a replacement or full refund. Our tea products cannot be returned because tea is a food product. We accept payment through PayPal, Alipay and money transfer direct to our bank account in China. We will ship your order within 5-10 business days after receipt of money if not sooner. Why is the item I want out of stock? Our artisan partners work under conditions that we can hardly imagine. Power outages, lack of raw materials, unreliable transportation, extra demand for labor at peak times in fields etc. can all cause unexpected delays in the delivery of their handcrafts to us. This means that products you order from Danyun may sometimes be out of stock and it can take 3-4 weeks before we can ship your order. I do not live in China. Can I still buy from you? Yes. We ship individual orders to Australia, Europe, The United States of America and so on. We ship orders to retail store customers and wholesale resellers to countries all over the world. Please view the Shipping Chart for individual orders. How do Danyun Volunteer Sales work? You or your organization can host a sale of Danyun items in your community. These sales are usually one-time events that are fun to hold on their own or in combination with another event. By submitting two forms, placing an order, and selling the products, you are doing the invaluable hands-on work to help create employment for disadvantaged artisans and farmers in Yunnan Province in China. There are a few options for you to choose from, including a risk-free consignment option where you choose from a selection of around 300 products and a wholesale option featuring many more products and a larger discount. 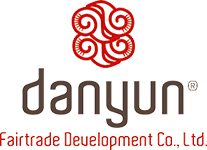 Learn more about Danyun Sales. If you have questions or intend to acquire more information about back orders and shipping, you can find it here.